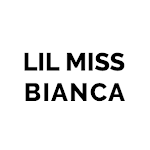 Within today's entry and the next, you will be witnessing LILMISSBIANCA of different aesthetic. First, you'll be seeing Sofia Graniello's modern-meets-vintage photographic style, as opposed to my typically bright, cheery photos. Then, what has usually been a blogging duo now becomes a power trio. We're very pleased to be collaborating with the newest fashion blogger in the city, Pooja, 1/2 of Les Rebelles Squad, for this blog post. Lastly, rarely will you see me sporting a trend straight from the runways. In this special blog post however, we deliberately succumbed to fashion trend, and concocted our sartorial take on the pink + yellow color combination, as seen on the fall 2016 runways. A quintessential girly-girl color combination, pink + yellow would always remind me of the particular look from the Barbie and Moschino collaboration for SS 2015 collection, which is comprised of the bright yellow biker jacket and pink shorts with oversize blue chain belt. But the color combination has been redefined by fashion powerhouses like Marissa Webb and Creatures of Comfort for fall 2016. This season, forget about the bright summery shades. It's all about muted tones — pastel pink and yellow, marigold yellow (as seen on Kim, right) and dusty pink — rendered in fall fashion staples and transitional pieces like knits (as seen on Pooja, center), long-sleeved shirt, light outerwear and cropped trousers.